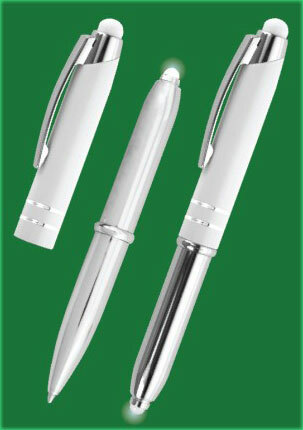 Just complete this form and we will send you a high-quality 3-in-1 Stylus that works on any touch-screen device. It also includes a ballpoint pen and an LED flashlight. More gifts coming soon for our frequent players! to register and then return to this page to sign up for rewards. There is always a certain element of risk involved when wagering at Internet casinos. By visiting the casinos represented on our website, you warrant that CCN shall not be held responsible or liable for any inconvenience that may occur as a result of your gambling activity at any casino represented on our web site. Every attempt has been made to guarantee fairness and security toward potential players. CCN cannot be held responsible if discrepancies occur among an online gambling operation and you the player after following a link from this site. CCN is a portal casino that’s an information service. No online wagering is offered from CCN and CCN shall not be held responsible for any errors or omissions at this web site. We reserve the right to make changes without notice. If you make use of any of our strategies or information you do so of your own free will and agree to not hold CCN liable for any loses you the gambler may sustain. Accordingly all CCN information is provided “as is”. However if any such information found within this web site is discovered to be incorrect we would be grateful for proper notification. Articles or Blogs written by authors other than those of CCN belong solely to those of the author. You, the reader, release CCN from claims resulting in the use of information contained within those articles or Blogs. Links to any third party web sites are provided for entertainment purposes only. The linked sites are not under CCN control and CCN is not responsible for the content of any linked site. CCN provides these links as a convenience only. You agree to indemnify, defend and hold CCN risk-free from all claims, causes, allegations, costs, expenses, fees, (including reasonable attorney’s fees) judgments, liabilities, losses and damages arising from or relating to your use of or operation of the CCN website or any affiliates websites. • You are younger than the legal gambling age (21 in the USA). • It interferes with your work or other responsibilities. • You are in recovery for addictive disorders or dependencies. Seek professional help from Gamblers Anonymous if gambling is not something that you want to do, but rather something that you need to do. Gambling is a form of entertainment enjoyed by millions of people. The majority of people gamble without experiencing any problems. However, it is possible for a person to become obsessed with gambling. Although, according to many studies, only 1 percent of the adult population faces this problem, for us even one compulsive gambler is one too many. Underage Gambling Participating in gambling activities by persons under the legal gambling age (21 in the United States) is not permitted.